(1 p.m. EDT) -- Celebrity Cruises has expanded its partnership with adventurer Ben Fogle beyond Europe, adding exploratory new shore excursion options to ports in the Caribbean and Alaska. 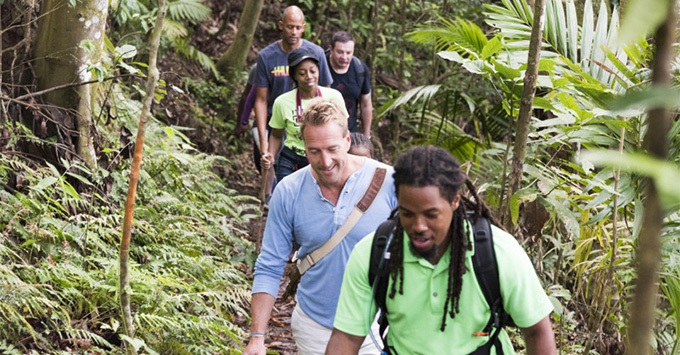 "No one understands adventure quite like Ben Fogle, and that's why we are further expanding our guest-favorite Ben Fogle's Great Adventures program from nine tours to 20 tours around the world," said Lisa Lutoff-Perlo, president and CEO of Celebrity Cruises. The "Ben Fogle's Great Adventures" program enables cruisers to explore the destinations they visit through the eyes of a local, by exploring culture, history and wildlife. "I'm so excited to share some of my favorite destinations as part of the new series of Great Adventures," said Fogle, who was recently appointed a Celebrity Cruises Global Destination Ambassador. "Some are not for the faint-hearted, such as climbing a volcano to its peak 3,792 feet above sea level, but the rainforest sights and sounds on the way up and views at the top are well worth the ascent." Among the new shore excursion options are ocean yacht racing in Antigua, a Mount Liamuiga volcano hike in St. Kitts and kayaking in Alaska's Icy Strait Point.